The bizarre story behind the forced evacuation of four towns in Syria came to light in a March 18 article in the New York Times Magazine. The four towns — the Sunni majority Madaya and Zabadani near the Lebanese border and the Shia majority Fua and Kefraya in north-western Syria, were evacuated in April 2017 after having been under siege by various factions in Syria’s civil war for years. However, the story behind their evacuation is as remarkable as the act itself, taking in hundreds of millions of Qatari dollars, Hezbollah, the governments of Iraq, Qatar, Iran and Syria, the United Nations and 26 ill-starred Qatari falconers. The story begins with the kidnapping of the falconers, many of whom belonged to the ruling al-Thani family, while on a hunting trip to southern Iraq in November 2015. 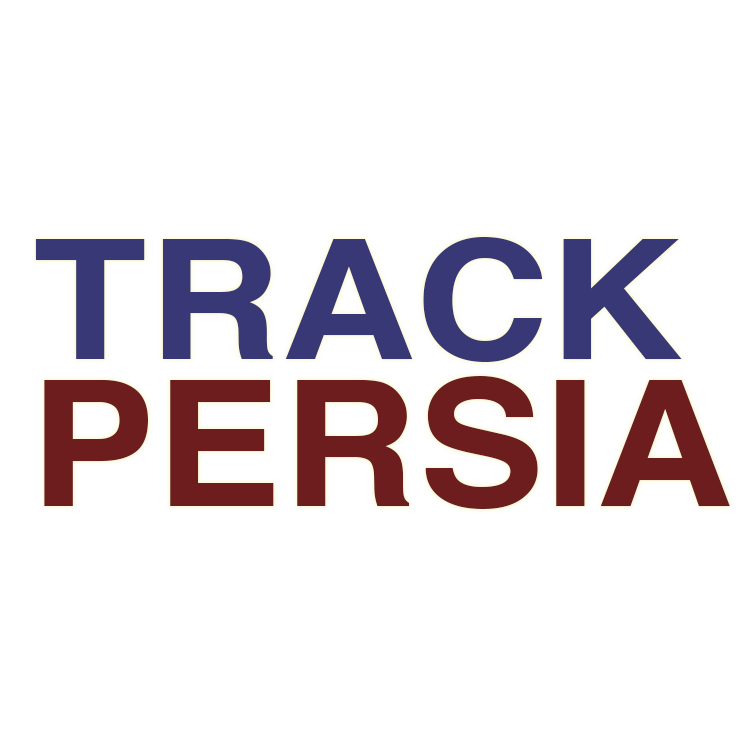 Shortly after their disappearance, Doha determined that the missing hunters were being held by a Shia militia with ties to Iran. As such, they reached out to the most likely interlocutor, the commander of Iran’s al-Quds Force, Major-General Qassem Soleimani. 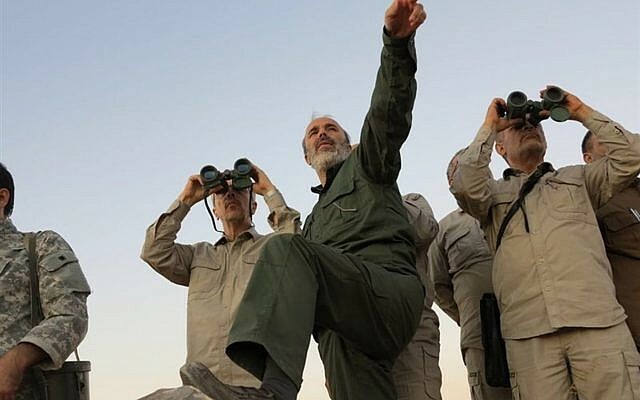 However, rather than seeing the issue of the missing hunters as a straightforward security issue, Soleimani saw within the kidnapping the opportunity to advance Tehran’s strategy in Syria. For him, the kidnapping provided leverage over both Qatar and its proxies within the Syrian conflict. 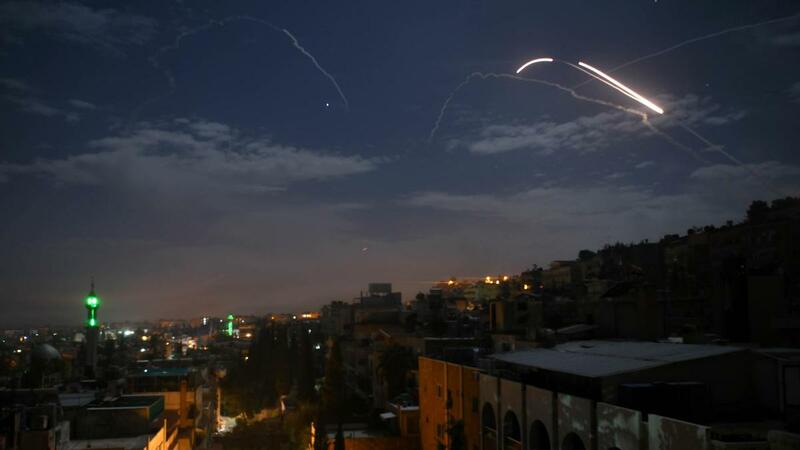 By late 2015, Soleimani and Hezbollah’s war in Syria had ground to a stalemate and the Iranian commander was exploring ways of strengthening the control Damascus held over the towns near Damascus. For the regime’s allies, control went further than tackling the Sunni militias there, quieting local populations that supplied and supported them and cementing Iranian influence within Syria. Moves to that end were under way before the Qatari kidnapping. In September 2015, the United Nations led a secret meeting in Istanbul where Soleimani’s al-Quds Force suggested the symmetrical population exchange that came to be known as the “four-towns deal,” the New York Times Magazine reported. Under the terms of the deal, the Sunni populations of Madaya and Zabadani, under siege by Hezbollah, would be exchanged for the Shia populations of Fua and Kefraya, which were under siege by Qatari-funded rebels. The populations of each town would literally be swapped, with inhabitants free to move into vacated houses and pick up where the departing population left off. The notion was swiftly rejected. 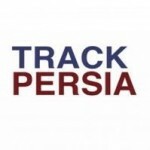 However, with the kidnapping of the Qatari hunting party a few months later, Soleimani found himself possessed of a fresh advantage. Selecting Hezbollah (the only party trusted by Doha, Tehran and the Iraqi militia holding the Qatari royals) as an intermediary, the Lebanese militia set about organising the release of the hostages in return for both a ransom payment and Doha’s participation in the four towns deal. A deal was agreed upon in which, in an operation opposed by Damascus and financed by Doha, residents of all four towns would be moved to safe zones and the future of each town determined individually. However, despite an agreement in principle no action was taken. 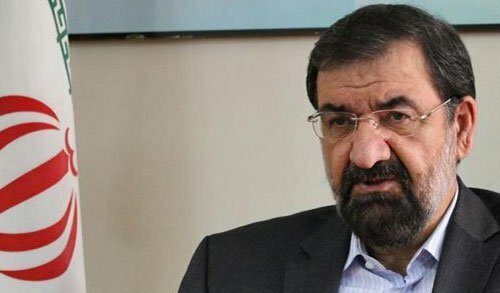 The New York Times Magazine reported that it took the Qataris 16 months and millions of dollars in bribes before they made contact with government minister Qasim al-Araji, a middleman with enough contacts within the Shia world to see the deal through. Araji claimed to have personal knowledge of the hostage-takers, later confirmed as Kata’ib Hezbollah, an Iraqi Shia militia, and, supported by a generous Qatari donation to what all parties framed as developments in Iraq’s infrastructure, would arrange for the royals’ release. However, Araji provided the caveat that the Qataris deal with him personally and no other member of the Iraqi government be involved. On April 15, 2017, 15 Qataris, along with 23 black duffel bags, arrived at the Baghdad International Airport. It seems they had prepared for almost everything but the airport’s X-ray machine. After many delays and numerous phone calls to Doha, the bags were opened and found to contain $360 million in cash. 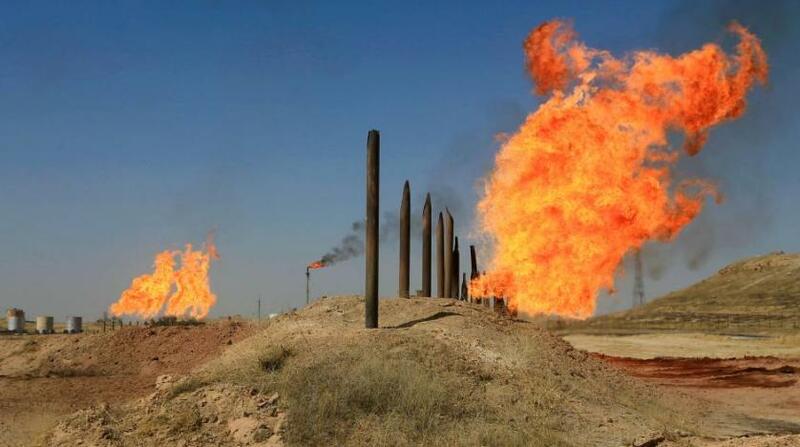 Further calls, this time from airport authorities to the government, brought security forces loyal to Iraqi Prime Minister Haider al-Abadi, the rapid separation of the Qataris from their money and their subsequent transfer to the city’s Green Zone. As the money was impounded, residents of the four towns were boarding buses that Qatar was supposed to have paid for. The New York Times Magazine reported that, as well as the $360 million confiscated at Baghdad airport, the rebel groups Jabhat al-Nusra and Ahrar al-Sham had received at least $50 million to secure their support for the exchange. While the Times Magazine reported a lot of Qatari activity, including offers of other bribes, as it tried to secure both the population exchange and its missing $360 million, events were interrupted by tragedy. As one of the buses carrying Shia passengers from the towns of Fua and Kefraya waited at a checkpoint at Rashideen, west of Aleppo, a bomb was detonated, killing the 126 passengers on board. Hundreds more were injured. Irrespective of the loss of life, the transfers were completed over the next few days. At around this time, the Qatari team in Baghdad’s Green Zone gave its hosts the slip and met with the hostage-takers, who gave them proof of life. Then, with apparent victory in sight, the tale descends into mystery. For no reason that anyone will confirm, shortly after confirming Doha’s falconers were alive, the Qatari team members packed their bags and left, their $360 million remaining in Baghdad. At around the same time, after 16 months in captivity, Qatar’s unlucky hunters were fed, showered and released from their basement prison south of Baghdad. No official explanation has been given for this. However, the Times Magazine reported the rumour that the Qataris had agreed to a similarly sized ransom be delivered via the Hezbollah-controlled airport at Beirut. Should that prove correct, it would mean the Qataris had paid at least $770 million for the release of their hostages. When factoring in the bribes paid to middlemen during the 16 months the falconers were held, the New York Times Magazine estimated that the Qatari expense in recovering their falconers could have reached $1 billion. 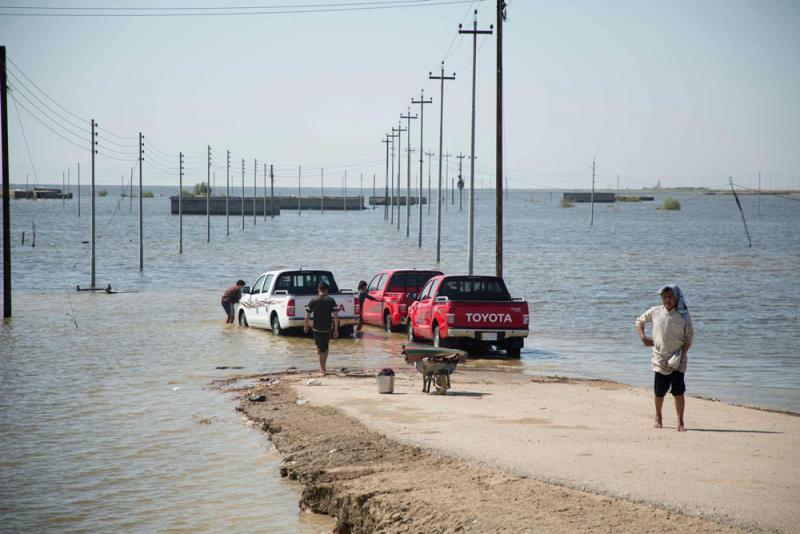 Qatari officials and some of the rebel groups the New York Times Magazine spoke to said the four towns had taken part in a humanitarian effort to rescue several thousand besieged citizens. However, for the Syrians who lived within the country where this great game was played out, the transfer represented nothing but the forcible exile of Syrians cooked up by foreigners working to their own ends. 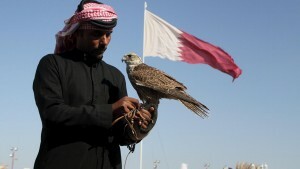 In the meantime, the magazine reported, Qatar’s falconers are planning their next trip.